Washington, DC (August 29, 2018) - The Patient-Centered Primary Care Collaborative (PCPCC) applauds Delaware Governor John Carney Jr. for signing into law Senate Bill 227, legislation designed to strengthen primary care services and payment. The law promotes the use of primary care through several approaches, including mandating that payers reimburse primary care physicians and other front-line practitioners for chronic care management and primary care at no less than the physician Medicare rate for the next three years; requiring payers to participate in the Delaware Health Care Claims Database; and creating the Primary Care Reform Collaborative (the Collaborative) under the Health Care Commission. The Collaborative will issue written recommendations by January 8, 2019, regarding appropriate levels of system-wide primary care investment, including an evaluation of whether 12% of health care spending should be directed to primary care and how primary care contributes to helping the state reach cost spending benchmarks. Delaware is the latest state to take action to strengthen primary care access and capability. Leaders in Oregon and Rhode Island have already taken steps to drive additional resources to primary care in order to support the kind of care envisioned in PCPCC’s Shared Principles of Primary Care. Leaders in several states are working to enact similar changes, with progress in Colorado, California, and Vermont. 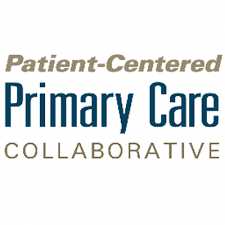 Founded in 2006, the Patient-Centered Primary Care Collaborative (PCPCC) is a not-for-profit multi-stakeholder membership organization dedicated to advancing an effective and efficient health system built on a strong foundation of primary care and the patient-centered medical home. Representing a broad group of public and private organizations, PCPCC’s mission is to unify and engage diverse stakeholders in promoting policies and sharing best practices that support growth of high-performing primary care and achieve the “Quadruple Aim”: better care, better health, lower costs, and greater joy for clinicians and staff in delivery of care.